On a short week after their Monday night loss, the Dallas Cowboys came into Philadelphia given little chance of escaping with their first road win here in week ten of 2018. The Eagles were rested off their bye week, and despite not playing up to their championship level of a year ago, had far fewer problems compared to the Cowboys coming in with speculation that a sixth loss could lead to significant coaching changes. Such is why games are decided between the lines. Complete with some pregame scuffles, the Cowboys gave the Eagles all they could handle with Running Back Ezekiel Elliott eclipsing 100 rushing yards for the first time since week six. 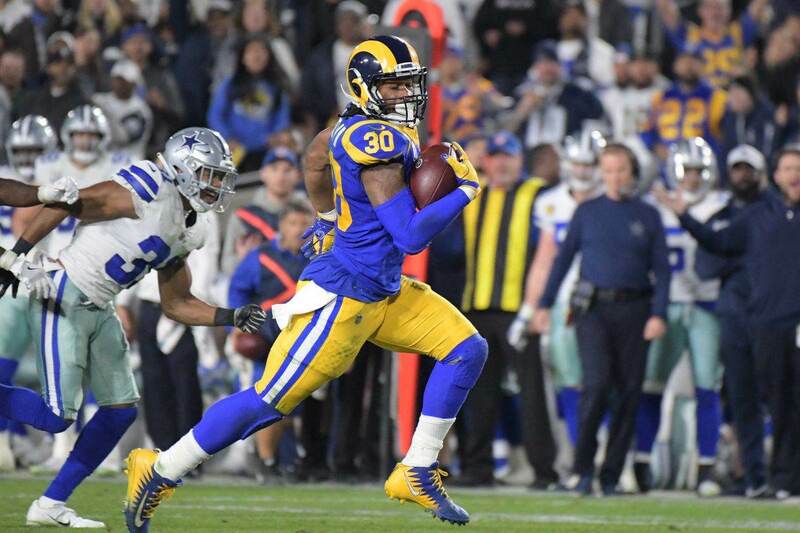 Elliott's 151 yards with two touchdowns were enough for a tenacious Cowboys defense to come up with enough stops, forcing one turnover on rookie Linebacker Leighton Vander Esch's first interception. Losers of two straight coming into hostile territory, the Cowboys have a win to build on through the back half of a difficult schedule. Playing up to their potential for the first time since acquiring Wide Receiver Amari Cooper, the Cowboys will simply be relieved to touch down in Dallas as winners at the Eagles 27-20. Here are my notes on exactly how they got there. Of all the surprising things Leighton Vander Esch has done for the Cowboys defense this season, his first quarter interception of Carson Wentz was probably the most expected play. Vander Esch's coverage skills coming out of Boise State were much more developed than anything he's shown against the run with the Cowboys. His ability to get depth and read the quarterback was one of the few strengths that were evident on his tape, with the rest of his outlook being a projection on how his athleticism would translate to NFL play. Obviously, the rookie has made a bigger overall impact than even the Cowboys could have expected. Paying a steep price for LVE at 19th overall, the Cowboys have their replacement for Sean Lee (out once again in this game), something impossible to put a price on given what losing Lee has meant to past seasons. Vander Esch's interception of Wentz set up the Cowboys first score in a game they would never trail. Leighton and Safety Jeff Heath assured this on back-to-back plays late in the fourth, as Vander Esch made a sensational play in space against Corey Clement for a loss of three. Turning a third and two into fourth and seven, Heath drove on Zach Ertz and tackled him short of the line to gain to turn Philadelphia over and allow the Cowboys to run the clock down. Already without rookie Left Guard Connor Williams, the Cowboys appeared to be in for a long night when Right Guard Zack Martin exited with an ankle injury. Martin would work his way back onto the field as his usual self, but the Cowboys handled the brief absence of both starting guards very well. On the first play with Adam Redmond on the field for Martin, the Cowboys dialed up a quick slant to Amari Cooper. Prescott trusted Cooper to win on a route he's dominated since coming into the league, and the Cowboys newest weapon at WR did just that to move the chains on third and seven. The Cowboys red zone play calling left a lot to be desired in this game still, but getting points immediately after the loss of Martin was an important moment early in this must-win game. More importantly, it was great to see Prescott develop his confidence in Cooper as his go-to receiver, something that's helping the entire Dallas offense find its footing. Jaylon Smith's fourth down stop will overshadow this play, but Xavier Woods' pass breakup on the third down before it might have been his best play of the season. Right at the heart of the Cowboys and Eagles scuffle before kickoff was Cowboys Passing Game Coordinator Kris Richard. It's well-known that Richard's expertise is coaching the back seven of a defense, coming over from a Seahawks defense that featured one of the most talented secondaries in recent memory. One player that Richard and the Cowboys are still trying to find a true role for is Xavier Woods, who had his share of negative plays in coverage on Sunday night as well. Playing closer to the line of scrimmage on a third and short for the Eagles, Woods got a fantastic read on a pass from Wentz into the flat and broke on it to arrive first and knock it away. These are the types of plays that Woods made consistently in college, and if Richard can find ways to put him in position to be around the ball more, the Cowboys may have another welcome addition to their defense. Off the turnover on downs, the Cowboys once again drove for a field goal, though not without a fourth down conversion via fake punt and Elliott's highlight reel hurdle. 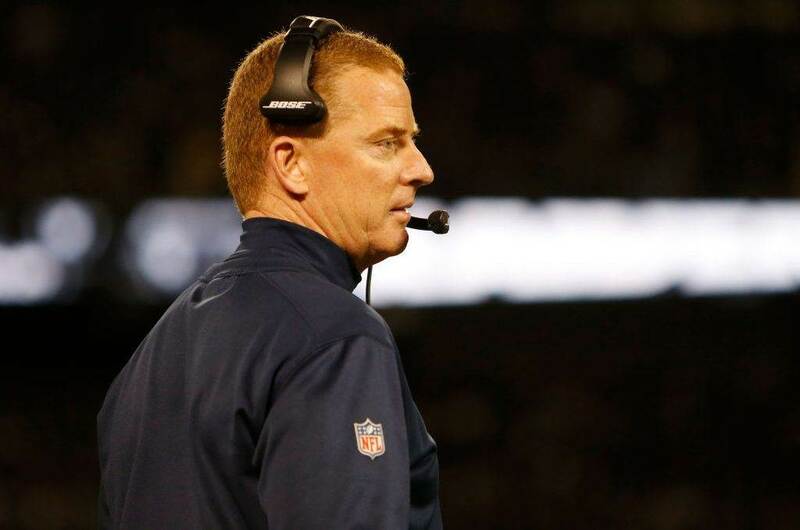 For the most part, both Jason Garrett and Scott Linehan coached this game with their backs to the wall, and without scoring a touchdown that was clear on this drive as they rewarded their defense with three more points. This shouldn't be something we just now have to praise Linehan for, but he did a great job sticking with Elliott on the drive following Brett Maher's miss from 42 yards. The Eagles tied the game on a short field when Wentz found Ertz from 15 yards out, and looked poised to take back momentum. Elliott had just gained 50 yards on carries of 15 and 35 on a drive that came up empty for the Cowboys. Coming back onto the field in a tie game, I was worried Linehan would rely too much on Prescott's arm, but instead kept Philadelphia guessing while feeding the hot hand in Elliott. On the Cowboys first series with the game tied at 13, Elliott touched the ball on the first three plays to move the chains with one reception and two rushes. He would rip off an 18 yard run two plays later, and walk into the end zone for his second receiving TD of the season to cap off the drive. Of course, it took yet another touchdown for the Cowboys to take the lead for good, and this one was also provided by Elliott on a one yard plunge. The Marc Colombo effect is a real thing for the Cowboys offensive line, paving the way for Elliott's heroic night. Their emphasis on getting to the second level and playing better in space was evident in not only the run game but on a few crucial WR screens as well. Lance Lenoir played in his second regular season game for the Cowboys, both of which now being wins at the Eagles. The practice squad receiver was called up to the active roster this week, and found a way to make an impact on special teams. Lenoir was given a chance to return punts as a UDFA last year, but his struggles on STs forced the Cowboys to keep him on the practice squad for his rookie season. Lenoir did play in the Cowboys meaningless week 17 win last year. With a deep group of receivers for Lenoir to work through this summer as well, the Western Illinois product had been working on the practice squad again before earning this opportunity. Covering the Cowboys final punt of the game, Lenoir closed the angle on Golden Tate as the only Cowboy downfield in that moment. The Eagles came after the punt as they should have, forcing the Cowboys to commit numbers inside to protect. Lenoir's efforts in the open field limited the return on a clean punt by Jones. The Eagles final drive began on their own 32, as Wentz would earn one throw with a chance to reach the end zone and come up short on a completion to Ertz. The Cowboys schedule doesn't get easier from here, as they'll revisit the site of the "Burning of Atlanta" next Sunday. Last year's Cowboys loss in Atlanta was the beginning of the end of that season, and through nine weeks this year it felt like the turning point for perhaps Garrett's tenure and Prescott's time under center. 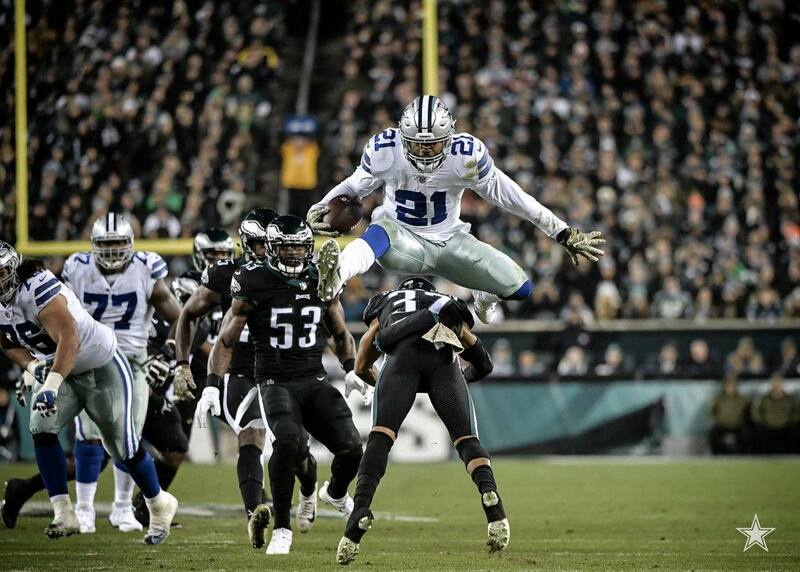 The Cowboys were able to deafen the outside noise surrounding the uncertain future of this team and play up to potential on the road for the first time at the Eagles. This starts with Prescott's efficient night, something that must inspire confidence for him to put any result from last year behind him and focus on the tall task at hand of climbing the NFC East standings at 4-5. With a home win on Sunday, the Washington Redskins remained in the division lead at 6-3. They play in AT&T Stadium on Thanksgiving. As if this Cowboys win didn't prove that the NFL is a week-to-week league, Cowboys Nation should be intrigued by this week's result for the Falcons - a loss at the Cleveland Browns 28-16. 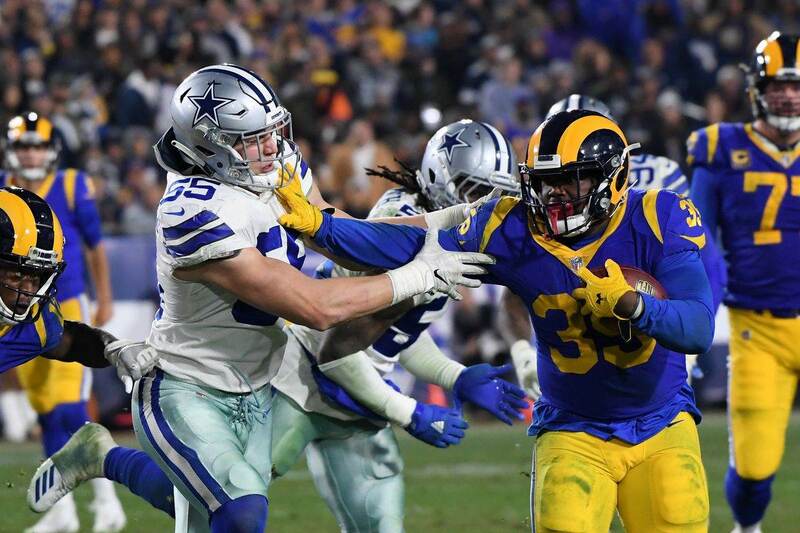 Tell us what you think about "Sean’s Scout: Leaning on Elliott, Young Defense Earns Cowboys Win in Philly" in the comments below. You can also email me at Sean.Martin@InsideTheStar.com, or Tweet to me at @SeanMartinNFL!